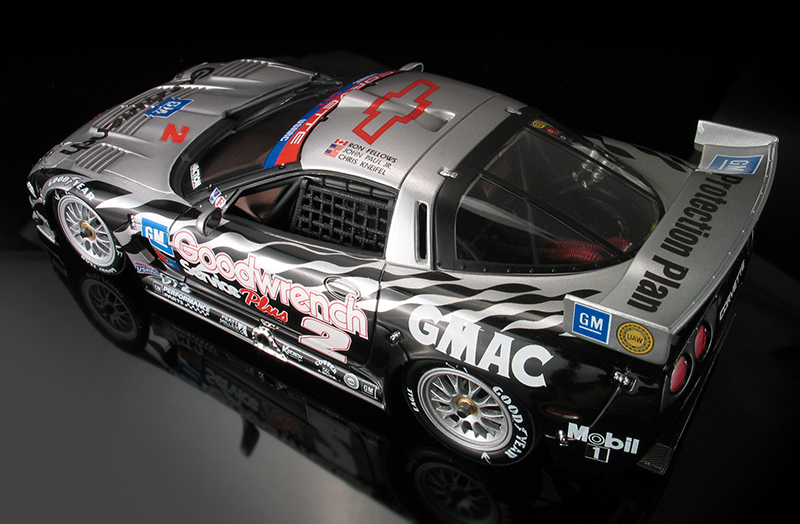 The Chevy Corvette has a long history of road racing. 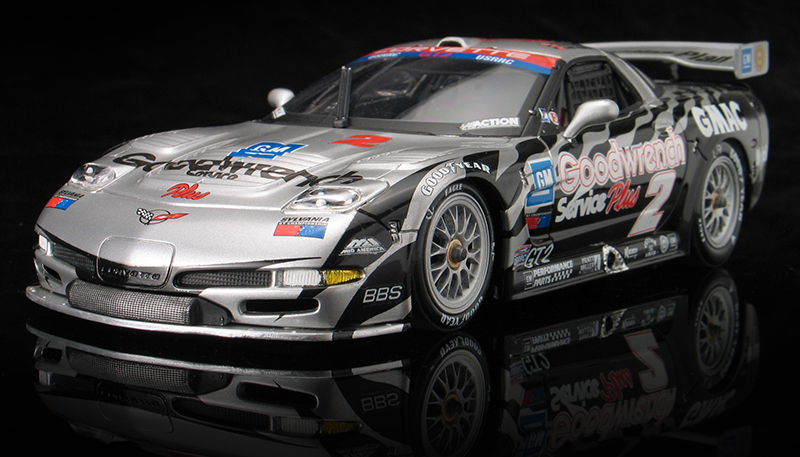 Starting in the 1950's, it has been a favorite on the track and Corvettes have graced the winners circle. 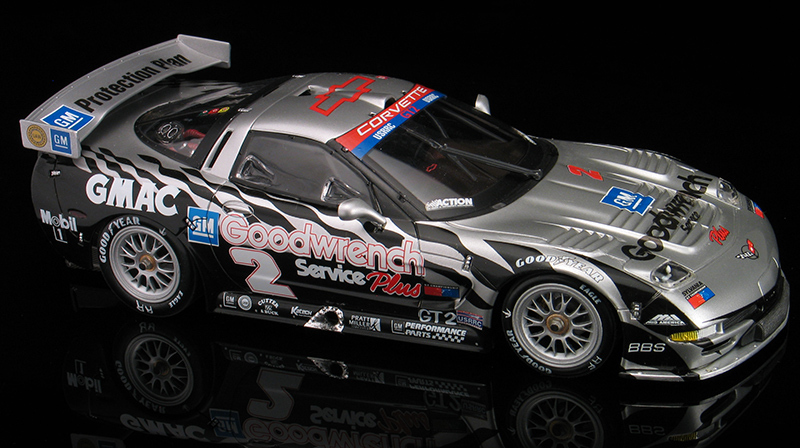 One of my favorites was the Goodwrench sponsored C5-R that was raced in the Rolex endurance series. 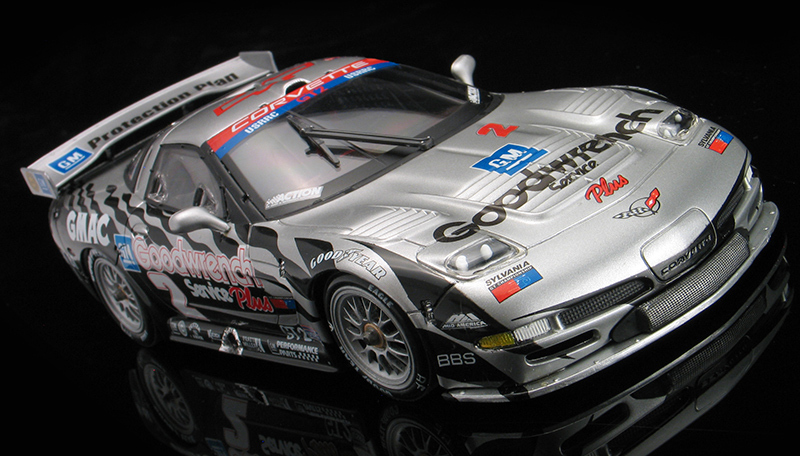 The car featured a unique silver and black checkered flag paint job that I really liked. 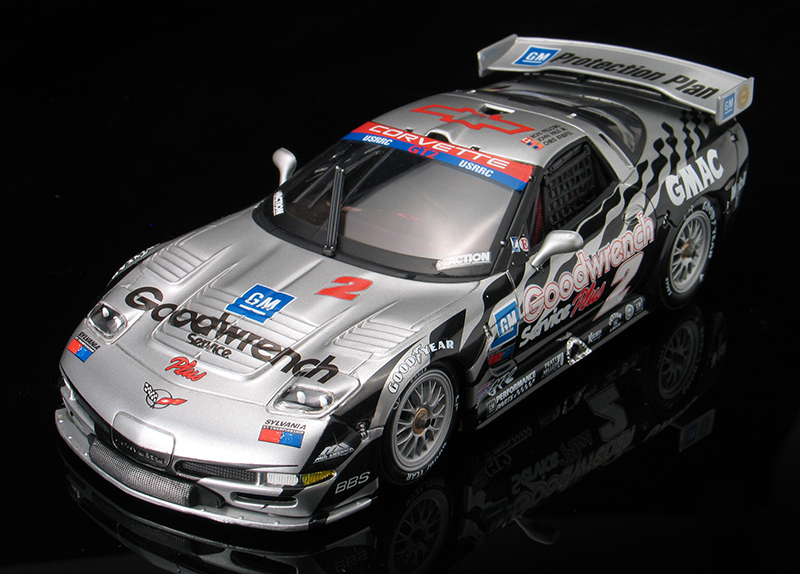 I was really excited when I first heard that this car was coming out as a 1/25th scale model kit and I bought one as soon as I first saw it. 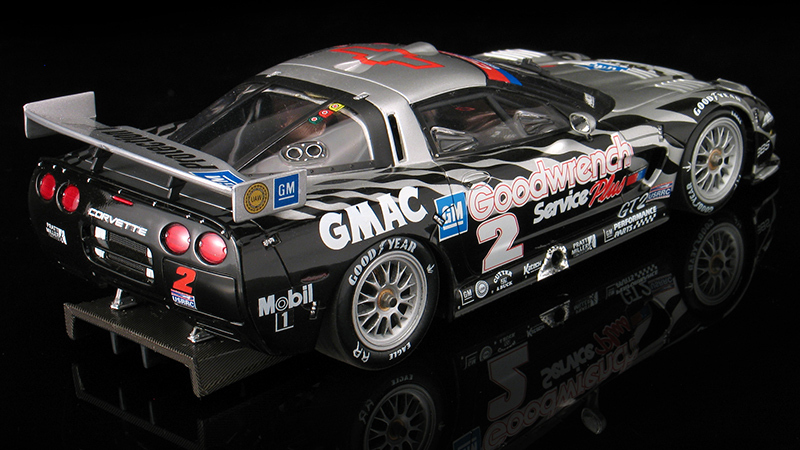 It's a replica of the car Ron Fellows drove in the 24 hrs of Daytona. 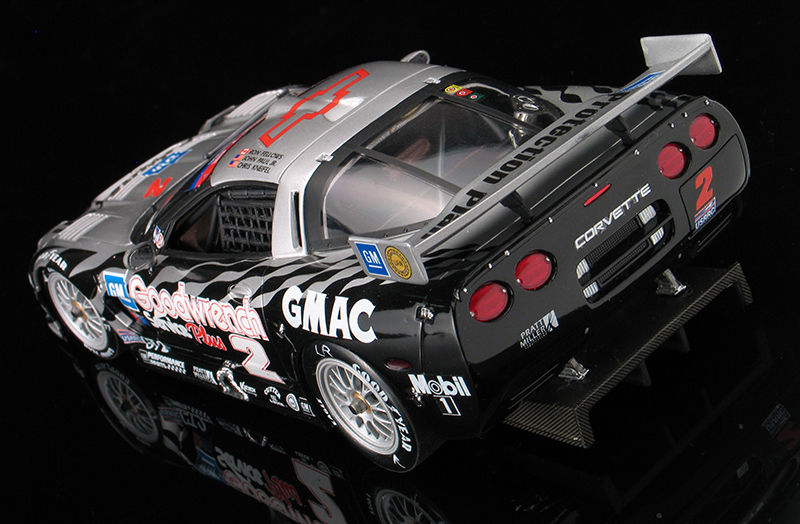 This kit is the pre-painted version that was the first issue of several C5-R kits made by Revell. Although this kit comes with it's body pre-painted that doesn't mean it was necessarly a simplistic kit to build. 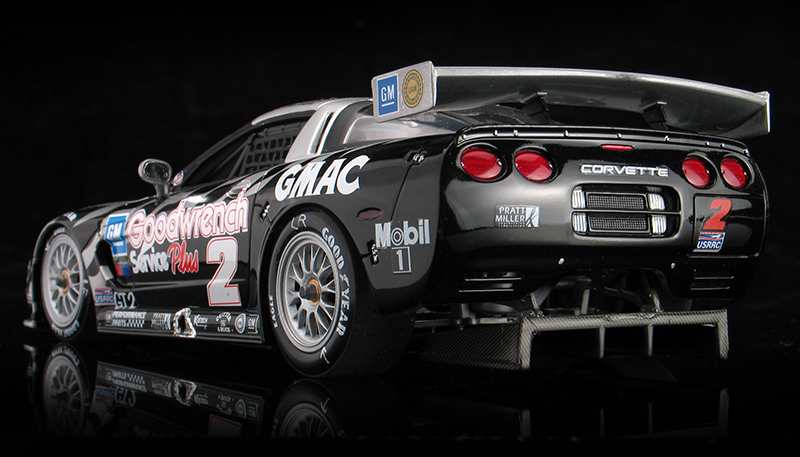 Infact, it's a nicely detailed replica. I built mine pretty much straight "out of the box." I did add for some aftermarket carbon fiber decals to the interior and rear aero diffuser to help the model look more realistic. The kit goes together really nice. My only complaint would be that the suspension needed some modification in order to get the nose down at the proper level. I also had to thin the wheel wells down with a dremel tool to produce a proper "scale" thickness. I thought the wheels sat a little to far inboard "out of the box" so I modified them to sit out closer to the edge each of fender lip, too.